If you happen to suffer from frequent bouts of cold and flu and are looking for some effective home remedies, then we're here to help. Winter season brings along cough, cold and flu, which can turn out to be quite annoying. Our immunity levels also tend to take a dip during this time of the year. It is imperative to load up on a diet that is replete with essential nutrients to keep diseases at bay. Various common kitchen ingredients can come handy while dealing with cold and flu. If you happen to suffer from frequent bouts of cold and flu and are looking for some effective home remedies, then we're here to help. A combination of ginger and cardamom is perfect to reduce symptoms of cold and flu. According to 'The Complete Book of Ayurvedic Home Remedies' by Dr. Vasant Lad, "Ginger is one of Ayurveda's most treasured spices. The perennial herb can be used to make a soothing tea." To begin with, take a bowl and add two parts of ginger with three parts of cinnamon and a pinch of cardamom in it. Add a teaspoon of the mixture in a cup of hot water and allow it to steep for about 10 minutes. Allow the tea to cool down for a while and drink twice a day for relief. Lemongrass's antibacterial and anti-fungal properties help in coping with cold, cough and flu. Take a bowl and add one cup hot water, one part cinnamon, two parts lemongrass and one part ginger to the bowl. Allow this formula to steep for about 8-10 minutes. You may also add honey if you like. An age-old traditional recipe, besan ka sheera is known to reduce symptoms of cold. If you are suffering from runny nose, then sipping on hot besan ka sheera is a perfect way to get some relief. Besan is replete with antioxidants and helps in clearing nasal tract. 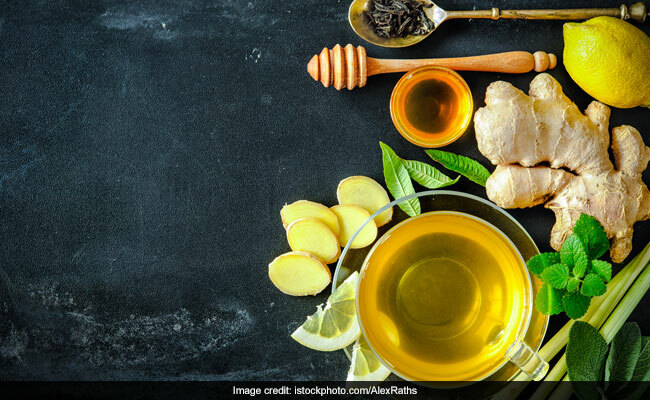 These home remedies are quite handy and easy; so without further ado, bring together all the above-mentioned ingredients and get going.